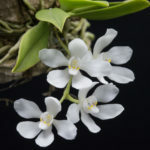 A native Australian species that enjoys living with some of our Dockrillia in the cool growing area, under the shade of a large pendant Dendrobium subclausum basket. 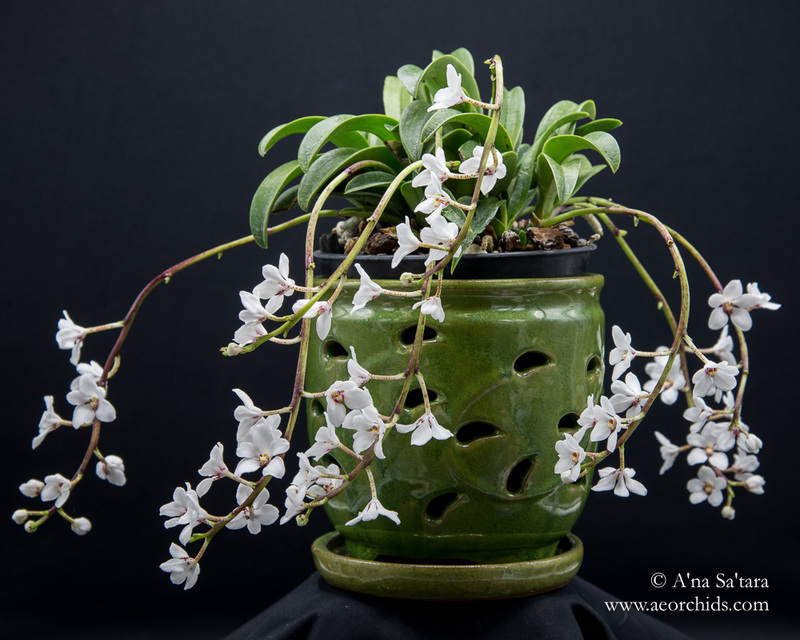 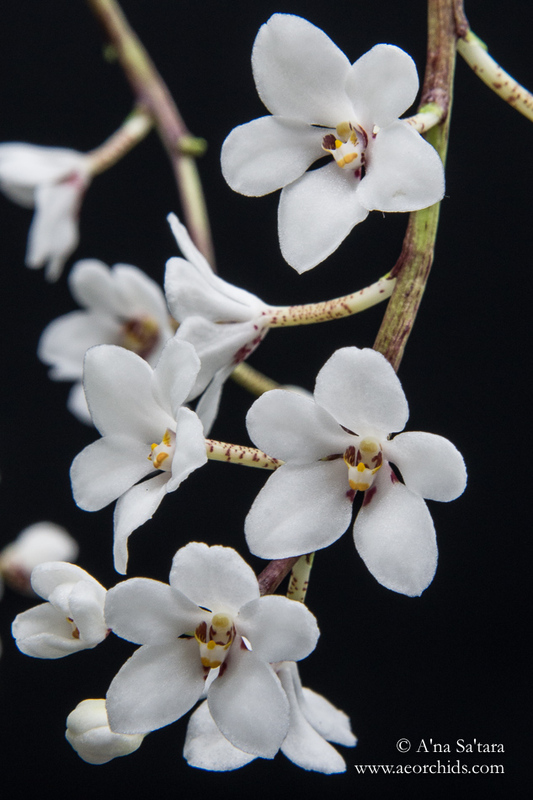 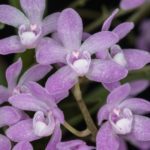 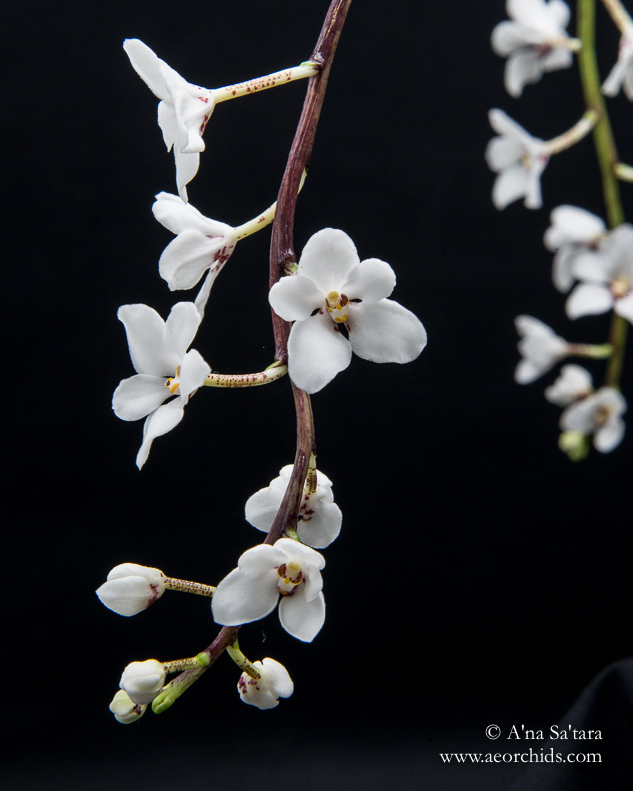 While compact in its 5″ pot, this orchid created a beautiful and fragrant display of blooms, lasting about a month. 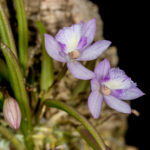 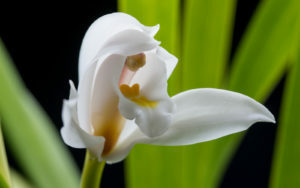 Unlike Sarcochilus ceciliae, this species opens most of its flowers at once, so the blooming presence is more dramatic. While I was cropping the photographs, I accidentally clicked the image to black and white — I’ve included the B&W image for comparison, as it highlights a different quality of the orchid.